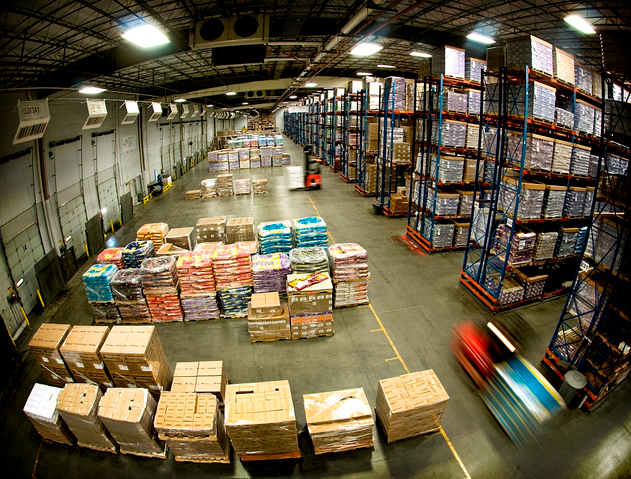 More than 145,000 people work in over 7,000 warehouses across the US. According to the OSHA Worker Safety Series, the fatal injury rate for the warehousing industry is higher than the national average for all other industries. The simple implementation of wall mount units can help with 4 of these issues. Let’s go over which ones and how wall mounts can help. 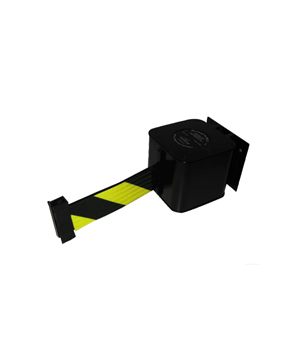 Wall mounts and other crowd control equipment can be used to mark traffic routes in a warehouse, alert operators to dangerous or restricted areas, and close access to aisles while forklifts are in operation. 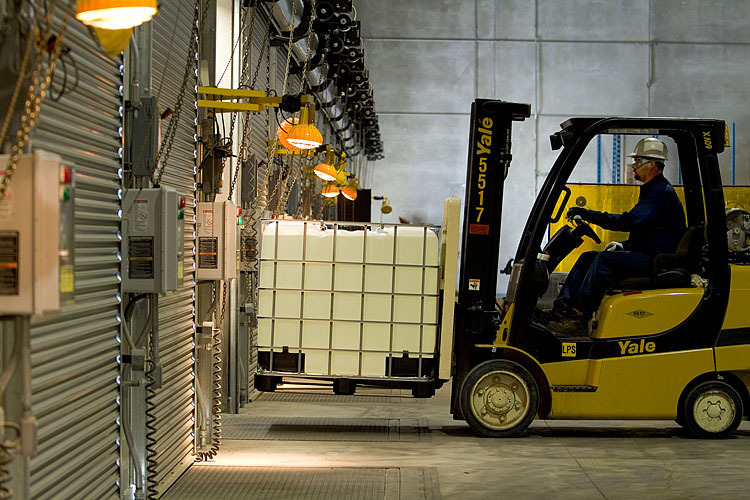 The Safety Series also lists the various hazards present on loading docks, citing forklift run-offs and poor equipment handling as the chief causes for injuries on loading docks. Forklift run-offs are easily prevented with the placement of a caution belt placed a few feet before dock drop-offs. With regards to equipment injuries, all it takes is a set of belts placed around dangerous equipment, used to keep people at a certain distance. If there is nothing present to alert employees and other visitors to the dangers in a warehouse, how will they know? With custom printing available for wall mount belts, you can craft a specific message to be placed on the belts to communicate any danger and keep people away from those areas. Much like hazard communication, this is a simple fix. By implementing a standard wall mount crowd control system, you can keep people away from these open danger zones. A warehouse can use custom belt printing to help guide employees and other visitors through their facility. Signage is another alternative that can be used to mark off entrances and exits. You may not need either, as the simple implementation of a lane using parallel wall mount units is essentially self-explanatory. People inherently know to follow a lane if they want/need to exit. Now, let’s talk about equipment. We recommend a standard wall mount for use in warehouses, as they are simple to setup and easy to move throughout one or even multiple facilities. 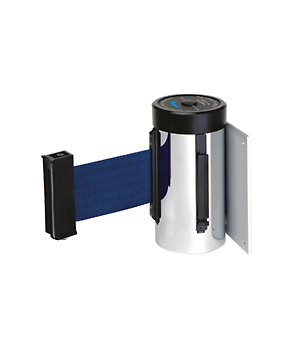 We recommend you try one of the Retracta-Belt Wall Mount Units from Visiontron. The first, for a smaller area, has a 10-foot belt, available in three finishes with 25 different color, pattern and message options. The second is available with a 15, 20, 25 or 30-foot belt, with two case colors and 25 color, pattern and message options. Both are available with custom printing. For more on the wall mounts from Visiontron, please see this Retracta-Belt spec sheet. Depending on your facility, what you’re doing, and where you’re using this equipment, you may need a variety of different belt lengths with different colors, patterns and messages. If you’re unsure of what you’ll need, just give us a call. Our crowd engineers are versed in warehouse safety and wall mount crowd control, and can help you create a proactive safety plan that will stop accidents before they happen.